"For everything, there is a season, and a time for every matter under heaven." LISTEN TO OR VIEW Bishop Eaton’s 2019 Easter Message: Click HERE for the video, click HERE for the English text, or click HERE for the Spanish text. What time is it in your life? Is it time to be planted, time to root, time to grow? If so, St. Mark's may very well be the place for you. We are a congregation planted in the Springfield community, rooted in the word of God, and growing in love for God and neighbor. 9:46 AM - English Adult Forum--"The 9:46 Crowd"
11:06 AM - English Adult Forum--"The 11:06 Crowd"
* Caroline Furnace Lutheran Retreat and Camp Center is a place to encounter God in God’s creation and through an intentional Christian community. 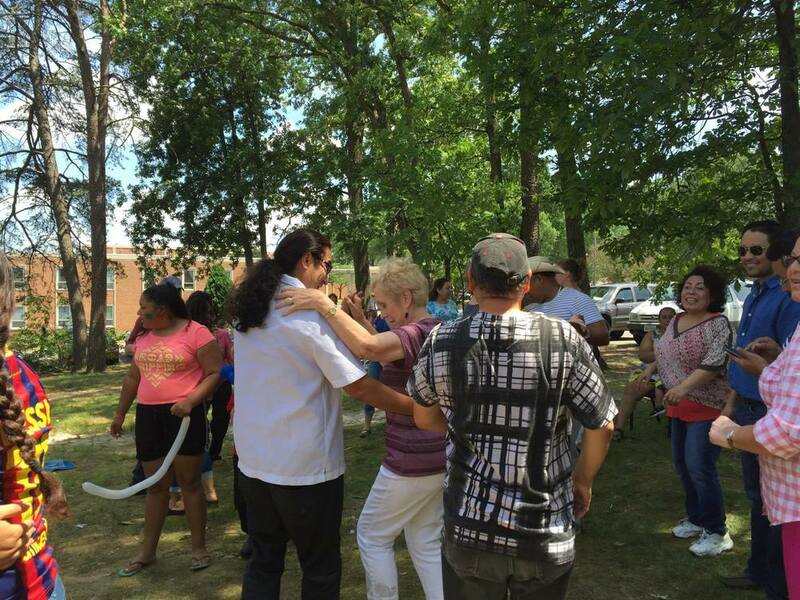 They believe this experience has the power to permanently change lives. Caroline Furnace is committed to remaining a special place apart, with a focus on God’s grace and presence, and on positive community building. Learn more at https://www.carolinefurnace.org/. * Mar-Lu-Ridge Year-Round Retreat and Conference Center is a year-round ministry of the ELCA. Situated in the beautiful Catoctin Mountains of central Maryland, Mar-Lu-Ridge ministers through summer camp, retreats, our conference center, and a variety of programs offered throughout the year. In addition to their traditional summer camp sessions, they also offer many specialty camp sessions including, but not limited to: adventure, arts, horseback, Night Owls, Civil War, and space camps. Learn more at https://www.mar-lu-ridge.org/. ALL Benevolence Recipients for 2019: The Congregation Council approved the four quarters’ benevolence recipients as recommended by the Stewardship Committee from St. Mark's as follows: Q1—Ecumenical Community Helping Others (ECHO), Q2—Caroline Furnace and Mar-Lu Ridge, Q3—FACETS and The Lamb Center, Q4—ELCA World Hunger. See more information on these selection HERE. Help Wanted! The nursery is in need of several volunteers to assist Tiffany. Vacancies exist for both 8:30 AM and 10:00 AM services. Volunteers are scheduled for the service your choice. We welcome all adults and high school teens. To volunteer, call or e-mail Fran Eck at 703-569-0814 or franalaneck@msn.com. Click HERE for photos from our February 10th Celebration! BRIDGES is coming! … St. Mark’s will be hosting some of Lynbrook’s (and some of St. Mark’s own) elementary school age children for “BRIDGES—Harmony through Music” after-school sessions for homework and chorus-ensemble rehearsal in the fall of 2019. Learn more HERE! 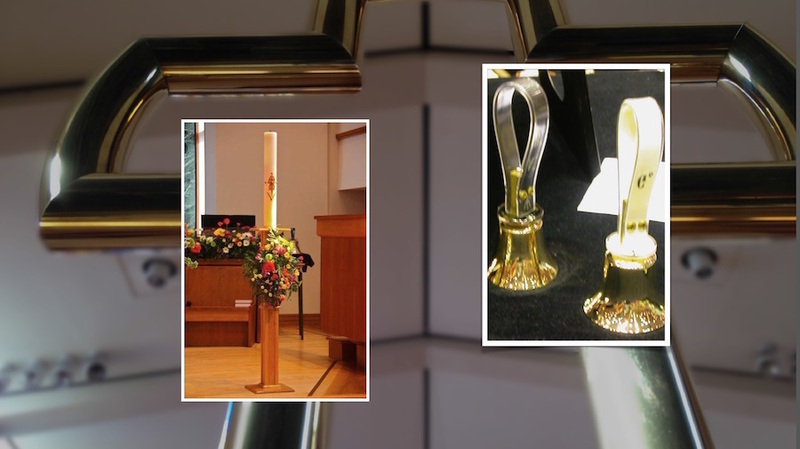 Congregational Report to the ELCA: Each year the congregation submits a report to the ELCA on a variety of items. Each year there is a section in which we are asked to describe the congregation. While this can be completed by a single person, it is more helpful to let technology lend us a hand and get as many responses as possible. Please click the link below (or copy and paste it into your browser) to help us by completing 15 multiple choice questions. Thank you. Go to https://goo.gl/forms/3RBHHP08dioDD67E3. February 2019 Council Meeting summary on the status of the facilities upgrade as well as results of council actions and approvals is found HERE! Letter to President Trump from Bishop Graham regarding the situation of immigrants and refugees seeking entrance into the USA. Reflections on Family Separations at the Southern Border. See Pastor Albert’s comments to the 2018 Synod Assembly, Pastor Varinia’s call to pray for the families and for softening of the hearts of Administration officials, and a list of resources HERE. You can also read a statement from The National Council of the Churches of Christ in the USA (NCC) calling on the United States Government to “reunite children with their families and to establish a humane and just system to assist those seeking asylum and refuge in our nation." Communion Cards. Please don't forget to fill out a communion card each time you worship. Cards are located in the pew racks. If your address has changed, you can include that information so the church office can update your records. In addition, use of the card allows the church office to enter your communion and attendance in the official church records. Thank you! Have news to share with the congregation? Send it via email to communications@stmarks-elca.org to be published in the appropriate publication—E-Messenger, This Week, our website, and our Facebook page. Deadline is Tuesday at 5:00 PM, for same-week publishing. April 28, Sunday, Military Care Package Collection—learn more HERE! April 28 weekend (men) and May 5 weekend (women): Via de Cristo – see pastors for information or learn more HERE. May 4, 2019, Saturday, 9:00 AM to 4:00 PM, SWO Convention at St. Matthew’s Lutheran Church, Washington, DC … Learn more HERE and HERE! May 11, 2019, Saturday, 10:00 AM to 12:00 NOON, 7th Annual Alexandria Thrivent Shred Day Event at Nativity Lutheran Church … Learn more HERE! May 22, 2019, Wednesday, Senior Luncheon sponsored by The Life Center—volunteer to host a table! Learn more HERE! Click HERE, print and fill out the GIFTS FOR MINISTRY form, then bring it to the office the next time you are at church. - ESOL (every Tuesday) See more HERE! - Prayer Group (every Wednesday) Learn more HERE. - ESOL (every Wednesday) See more HERE! - Rejoice! Ensemble Rehearsal (every Thursday) Learn more HERE. SUNDAY, APRIL 28—Military Care Package Collection—TODAY! Attention Amazon Shoppers! 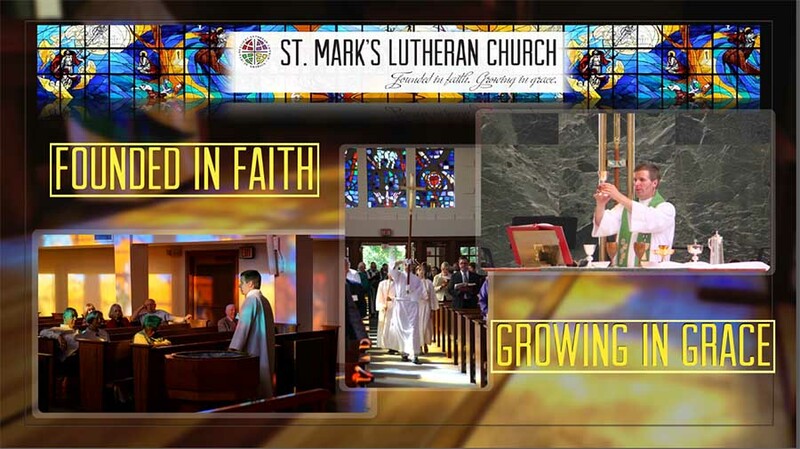 There is a new way to support the ministry of St. Mark's as you shop online. Simply make your purchases at AmazonSmile, a website that offers the same products, prices, and shopping features as Amazon.com, with one notable difference: the Amazon Smile Foundation will donate 0.5% of the purchase price to St. Mark's. Most of funds generated through AmazonSmile will support the ongoing work of the church; 10% will be directed to Boy Scout Troop 881 in return for bringing this opportunity to our attention. It couldn't be easier to get started. Just use this link to declare St. Mark's as your charity of choice: https://smile.amazon.com/ch/54-0625293. Then be sure to go to smile.amazon.com for your future shopping needs. Happy shopping!